I used Delicas because they tend to have larger holes than other kinds of seed beads – head pins – these are 30mm/about 1 inch – eye pin – this is a 40mm/1.5 inch eye pin – necklace chain/clasp – needle nose and round nose pliers – wire cutters. The simple design of a few strands of seed beads and fire-polished glass beads in two bright colors of turquoise and lime green are all I thought was needed to accent the beautiful ammonite. The color of the copper, patterns and textures are wonderful. 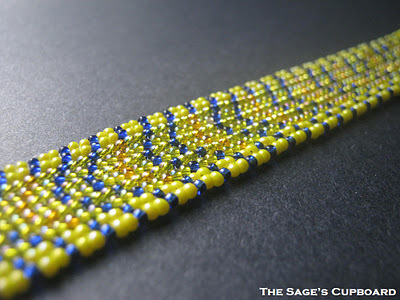 Perhaps I’m getting a little weary of gray winter weather, but I’ve been craving some yellow seed beads, so I built my palette around two shades of bright and lemony hues. Beads, Tutorials, Ideas Inspiring beadwork, creative, sustainable jewelry design, and a dash of green living. Instead of Lekku necklace by Rachel Nelson-Smith, I made a Lekku bracelet Well, for Lekku necklace you need about 100 gr seed beads only in one color and then about 30 gr for a second color. So, with 30 gr seed beads in one color and about 10 gr second color you can make a bracelet. Sometimes called the “DNA Stitch.” This is the first stitch I ever learned. Easy Christmas presents for you or your kids to make! Easy easy easy! Use any size seed beads. Kristal Wick creates a resin seed bead necklace using jewelry components form Rings & Things and TierraCast. 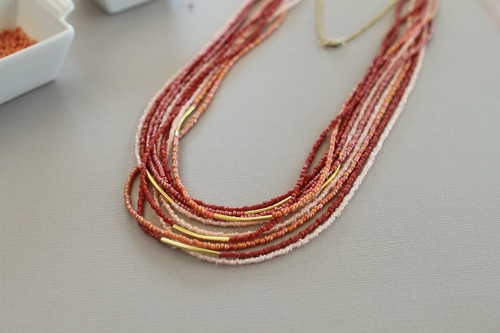 She shows how to make resin seed bead bezels to incorporate into the necklace design. As seen on Beads Baubles and Jewels. 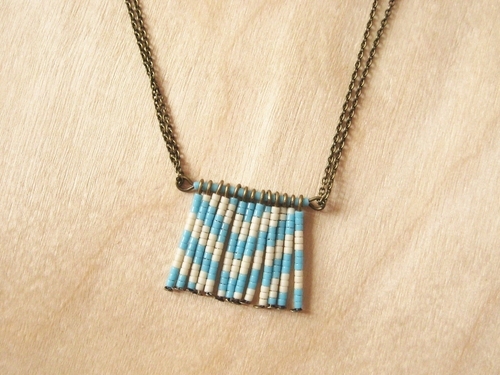 Blue Moon Beads shows you how to make this glamorous seed bead pendant necklace.